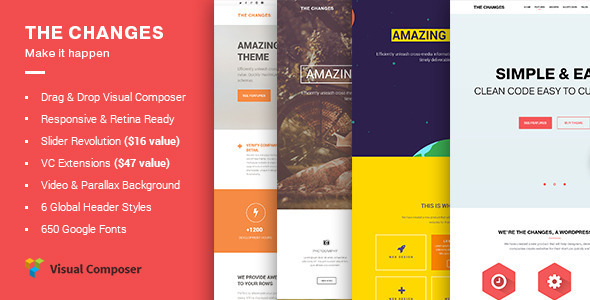 Prevalence is an excellent Onepage Responsive WordPress theme for Creatives, Companies, Agencies. Prevalence is based on LiveComposer – Drag & Drop pagebuilder. Now you can create the pages without Page-Reload. LiveComposer is a brand new Front-End editor. It was created as a universal website theme for people who need an easy and modern tool to create their own websites according to the latest trends. Please note that images are not included in PSD files.